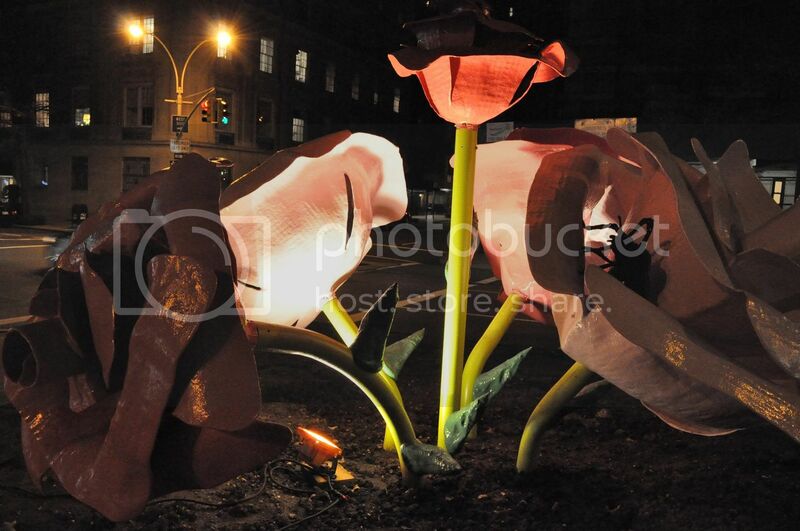 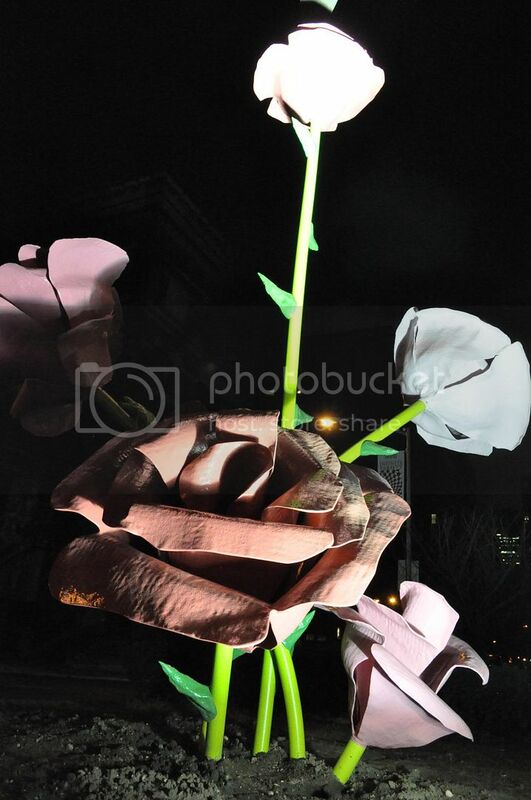 A couple months ago we gave you a look at Will Ryman's giant flower sculptures that run along Park Avenue in Midtown NYC. 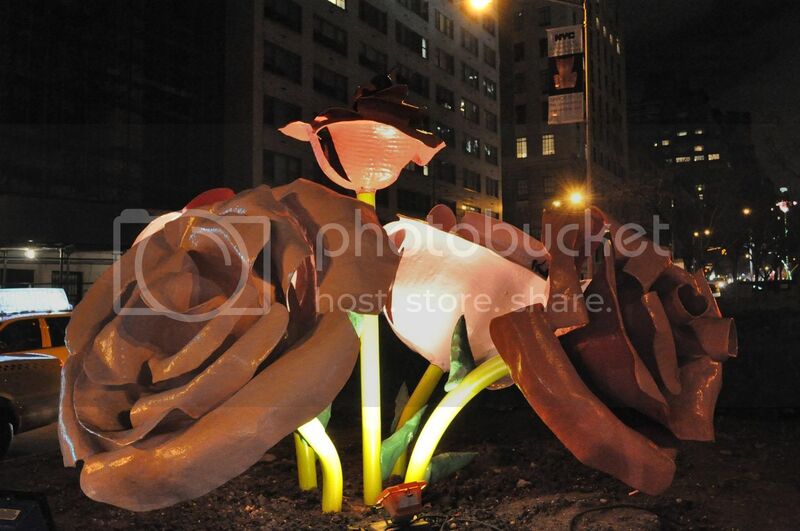 I finally made it there myself to check out the installations, and they really look fantastic at night. 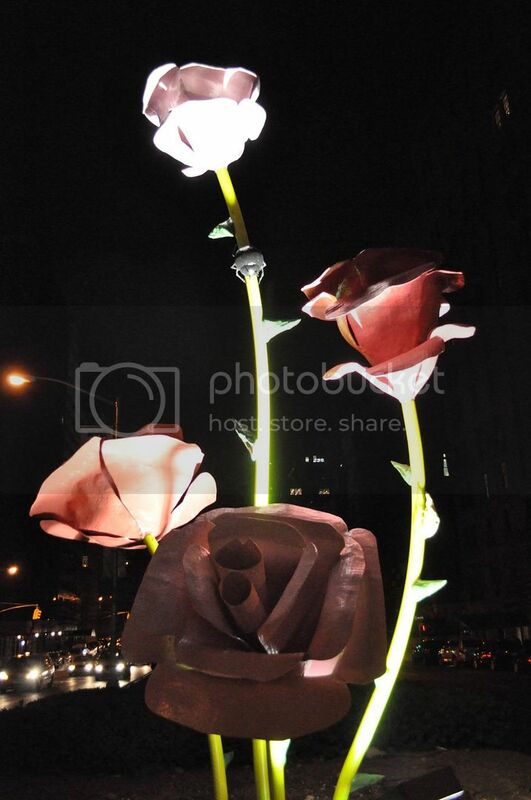 The dramatic lighting was very well thought out and gives the roses a dark and somewhat gothic look set against the tall buildings and traffic that line Park. 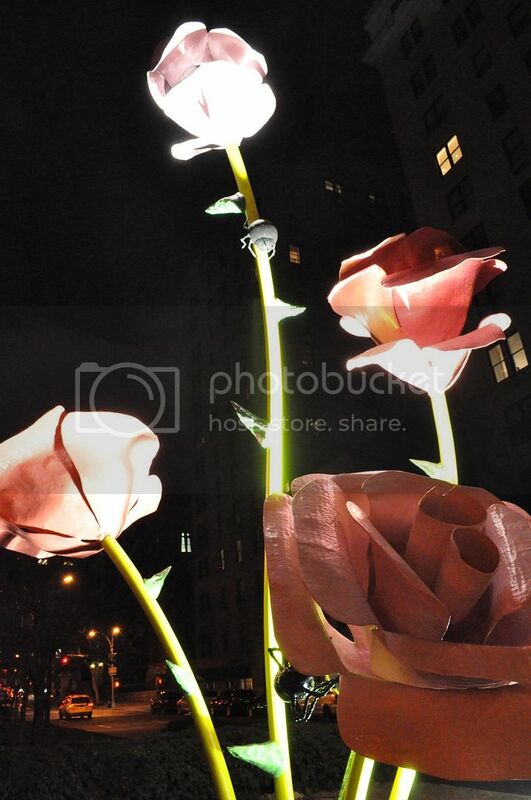 Check out more of my photos by clicking on the link below.